I absolutely adore Marc Jacobs fragrances, and I’ve never disliked any of their many scents. When Marc Jacobs launched their Daisy Dream fragrance last summer, I tried it and really liked it, but as it was an eau de toilette, I found that the scent faded very quickly so I was excited when I read that they’d launched a new eau de parfum version, and knew I needed to add it to my collection. 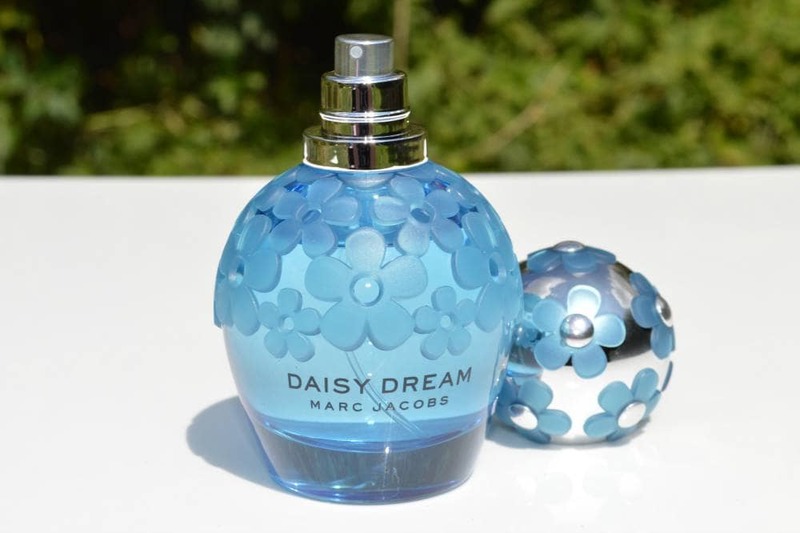 Marc Jacobs Daisy Dream Forever is inspired by endless blue skies, and retains the original composition enhanced in an eau de parfum concentration, and is available in 50ml bottles. 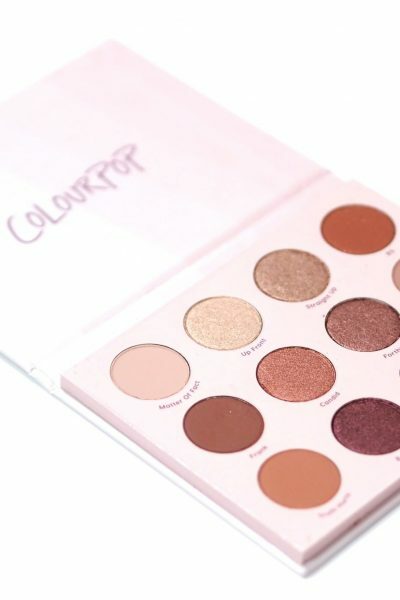 The top notes consist of blackberry, pear and grapefruit with an heart of blue wisteria, jasmine and fresh lychee. Finally, the base is made of strong blond woods. The bottle is so beautiful, and I love the attention to detail on all of the Marc Jacobs fragrances. 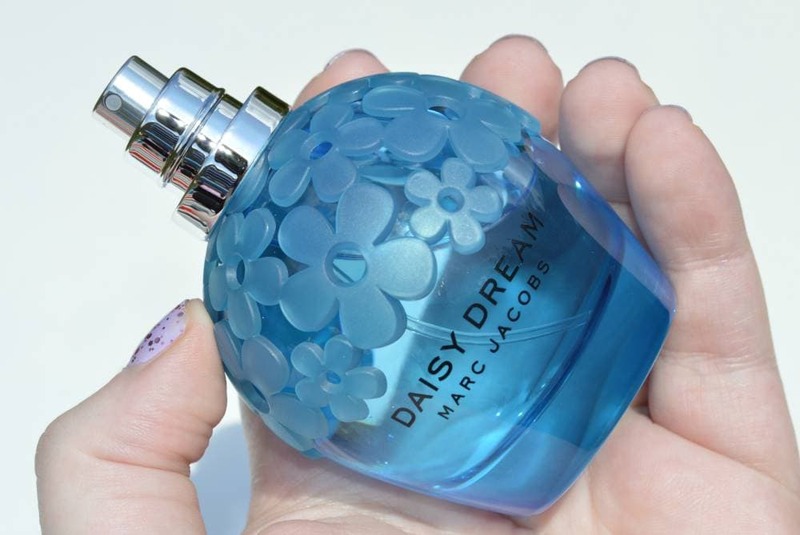 Marc Jacobs Daisy Dream Forever has a clear, blue glass bottle which features a matte daisy, almost lace effect design around the top of the bottle with a large round silver lid which is also covered in the same blue daisy design. I think the bottle looks so summery, and I really do think they’ve chosen the perfect shade of blue to represent blue skies. Even the box itself is rather pretty, with a metallic daisy design around the edges. 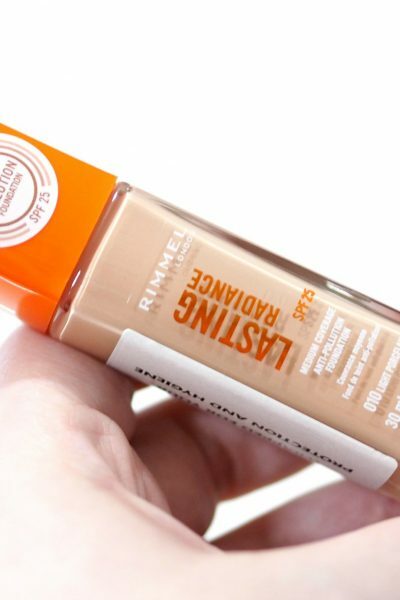 Daisy Dream Forever really doesn’t disappoint and is so much stronger than the original Daisy Dream and I actually find Daisy Dream Forever to be a little more rich and obviously the longevity is much better. On first spritz, Daisy Dream Forever smells quite similar to the original Daisy but within a minute the ‘blueness’ becomes a lot more prevalent.. it smells almost aquatic. I really like how sweet it is, and because it’s a fruity kind of sweet, it’s not too sickly or heady.. it somehow manages to feel quite light and it really does smell like blueberries to me which is strange seeing as they’re not listed within the notes. 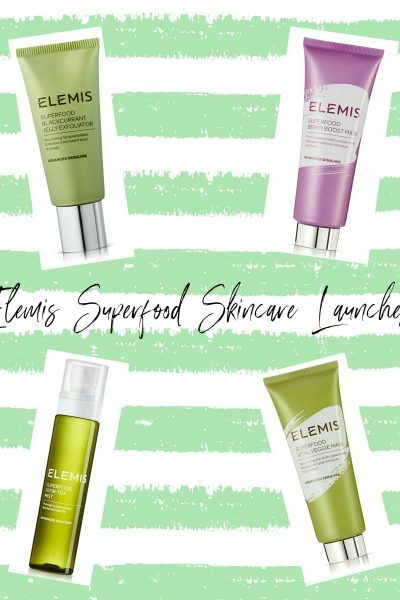 It’s such a lovely fragrance, and I cannot imagine anyone not liking it so it’d be the perfect gift for a woman of any age. 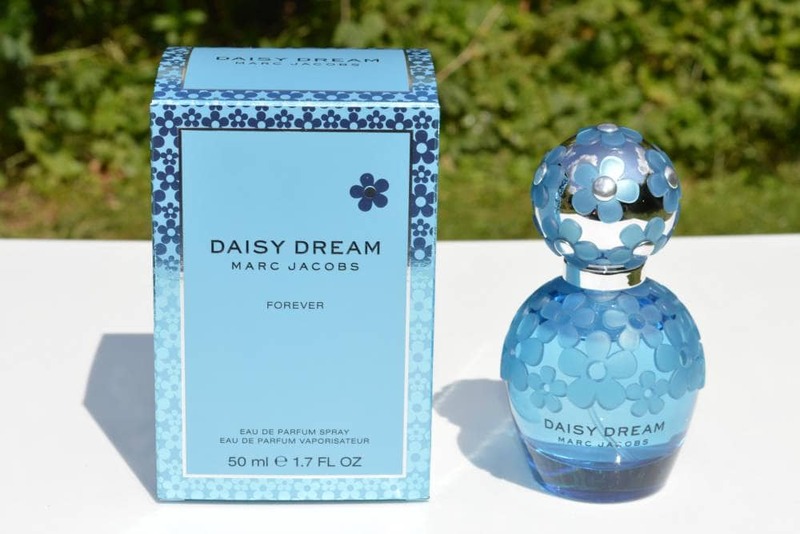 Marc Jacobs Daisy Dream Forever Eau de Parfum 50ml is available to purchase from Fragrance Direct, and is currently on offer for £51.99 with an amazing free gift. 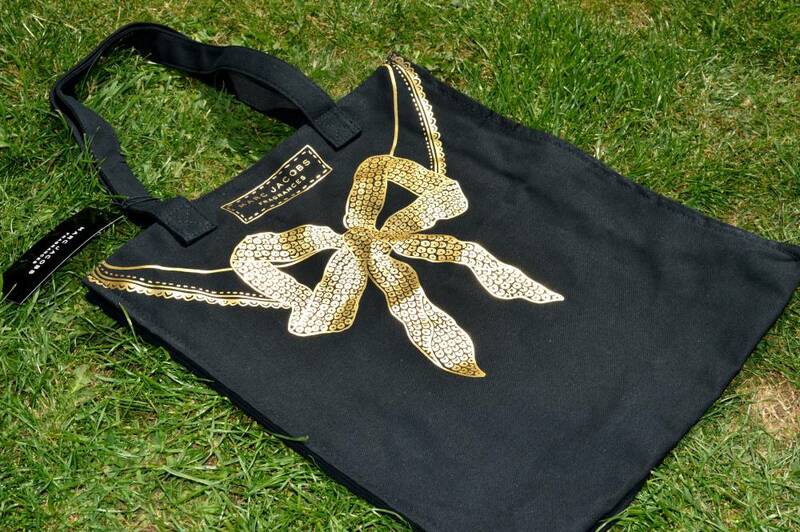 With each purchase of Daisy Dream Forever whilst stocks last, you’ll get a beautiful black tote bag which has a gorgeous gold metallic sequin bow design on the front which is such a nice free gift. 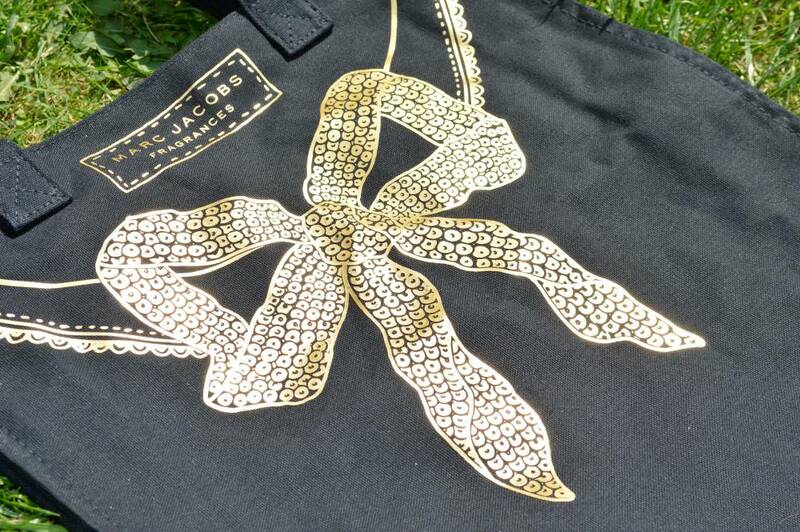 I often find that fragrance free gifts can be a little hit and miss, but this bag is such a great gift and I’ll definitely get a lot of use out of it. I’d love to know which is your favourite Marc Jacobs fragrance?